Oli at Hatch Kingdom told me that someone named Meiffi Oscar has opened a new sticker museum in Yogyakarta, Indonesia, called Easy Tiger, Asia #1 Stickers Museum. 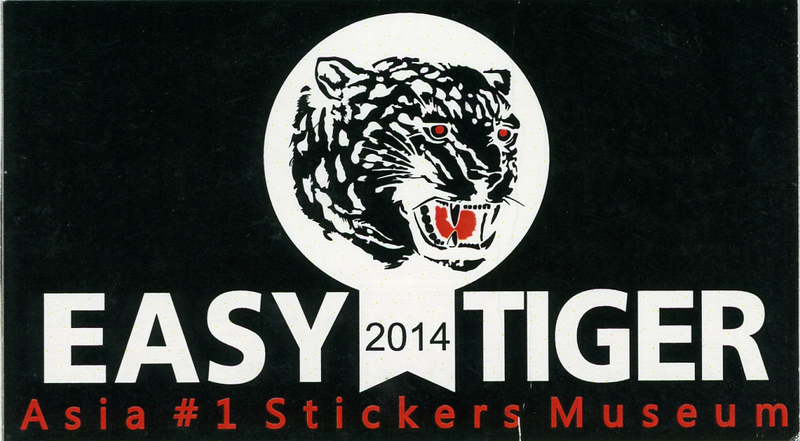 For more information about Easy Tiger, go to Meiffi’s blog Stickers Culture, some of which is in Indonesian and some in English. Yesterday, I received four new political stickers that Meiffi sent from Indonesia. I am going to share what he wrote in his letter to me to help explain the stickers. “Here is my small package. 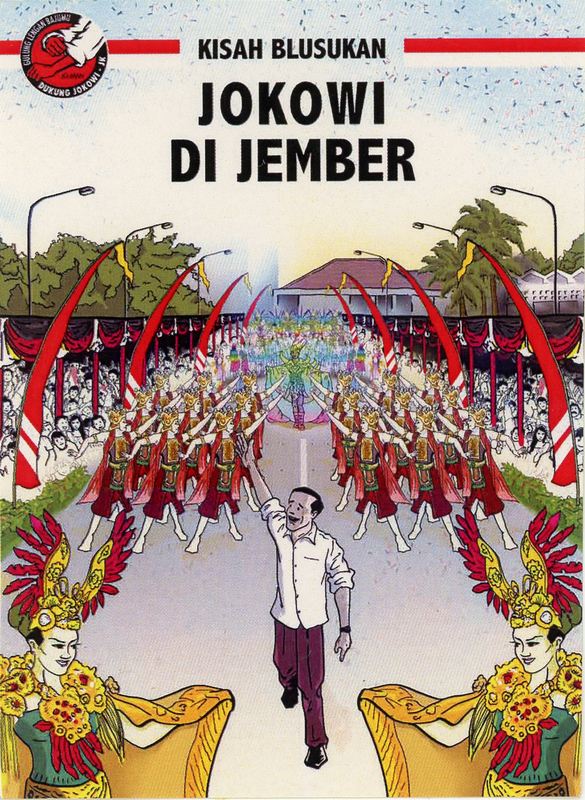 It’s about the new President, Joko Widodo (Jokowi), who won the election on July 20th  and will lead us now till 2019. There is a lot of unique facts about this person. He was an ex-governor of Indonesia’s capital, Jakarta. And the way he leads is unusual and eccentric. He loves to be in the front line when he visits his people. No wonder during the flood in Jakarta, he even took a boat and met refugees directly and straight. No such formal protocol. Once, he checked a sewer by himself. Yes, by himself. It’s not propaganda. But this is his habit for many, many years. Before, he was mayor of Solo (Surakarta). I’ve got a unique story about this. In Surakarta, there’s a public space [that] was occupied by the street sellers for many years. It was a problem for city planners. So this guy used a different approach. He used a smooth approach. By inviting them to have a dinner at his house and they discussed the problem together. But it’s not the end. He did this many times to persuade them to follow the government program about relocation. And guess what, those street sellers want to be relocated after all. And how many times did Jokowi invite them to his house? More than 40 times! I’m not joking, more than 40! So what I’m trying to say is there’s a new hope in this guy. He tries to make a revolution about Indonesian mentality. About corruption, discipline, hard working, unique, and eccentric (he loves metal music). Perhaps you’re not surprised cause maybe you know lots of leaders like that, but for Indonesians, this is new! And this is a breakthrough. These stickers [present] a unique concept about how Jokowi and his vice president are doing a blusukan (Javanese term for exploring deeply looking for something). So no wonder the volunteer for the election made these stickers. Jokowi in here, Jokowi in there. With his white long sleeves and informal appearance. 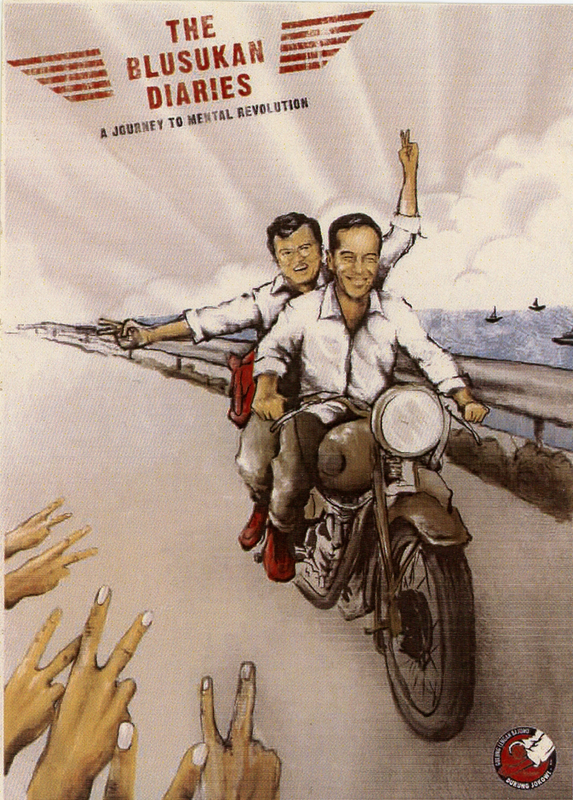 And the design is so unique, using the style of the Hergé [cartoonist], Tintin! A [Belgian] journalist who traveled all around the world with lots of adventures. 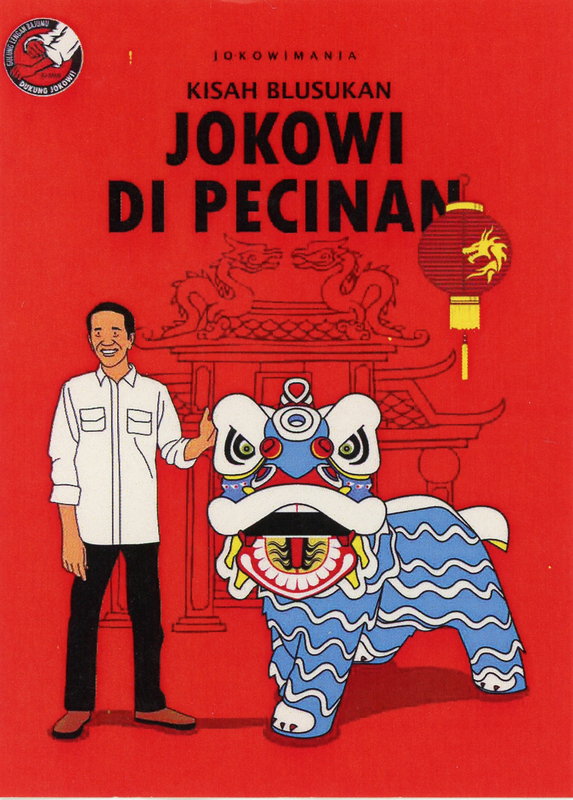 That’s Jokowi! A nation hero! Thank you, Meiffi, for these great stickers from Asia. I’ll add them to the Street Art Graphics digital archive!